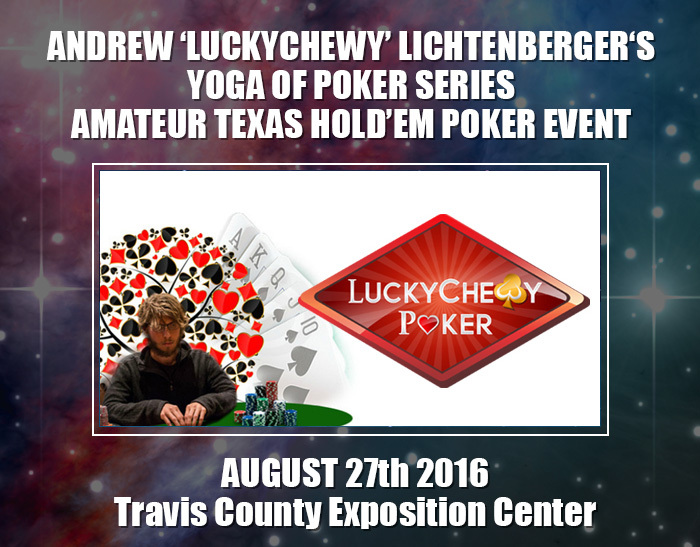 Welcome to the second annual Andrew 'LuckyChewy' Lichtenberger Austin Texas Hold'em Amateur Poker Event! Here you can have the enjoyable experience of competing amongst amateurs and professionals. Our charity fund-raiser events are for people who enjoy the game and want to benefit their community.